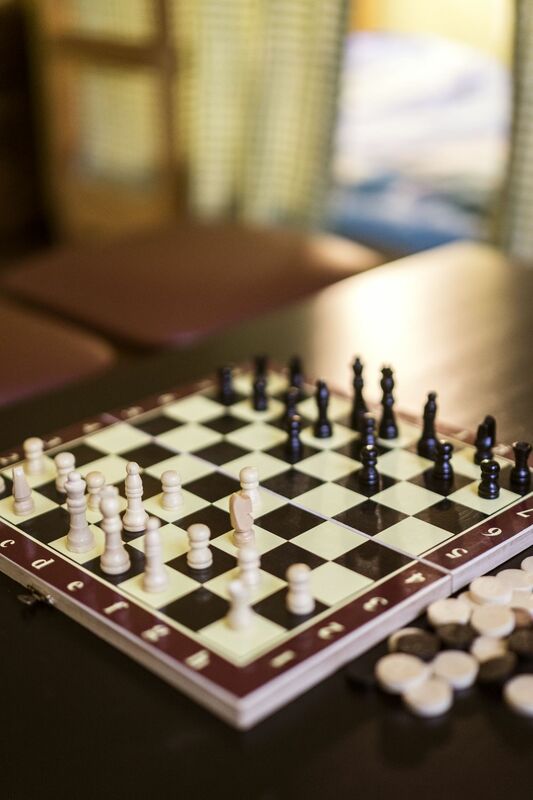 Plan your travel in advance. 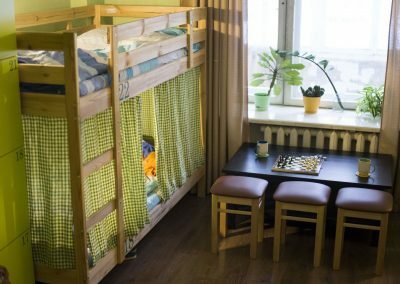 Book your stay now! 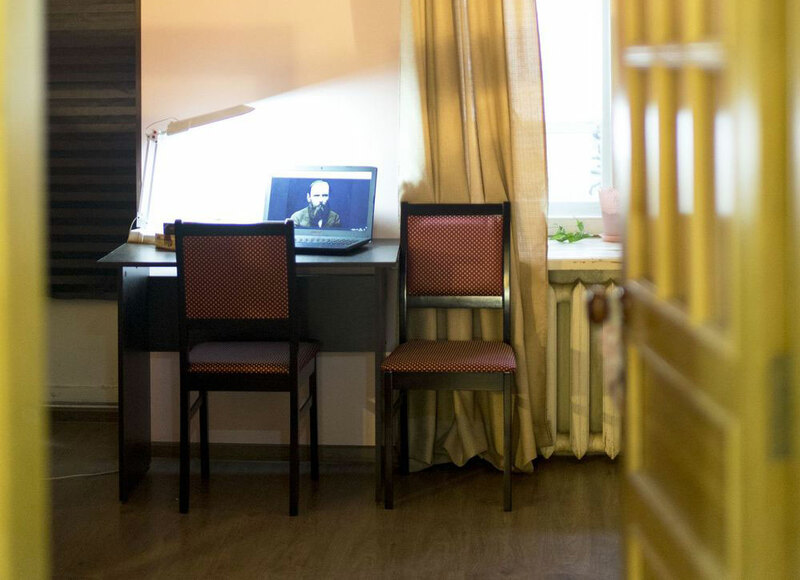 Choose the date of arrival and departure, click on the button and you will be redirected to the universal booking form. 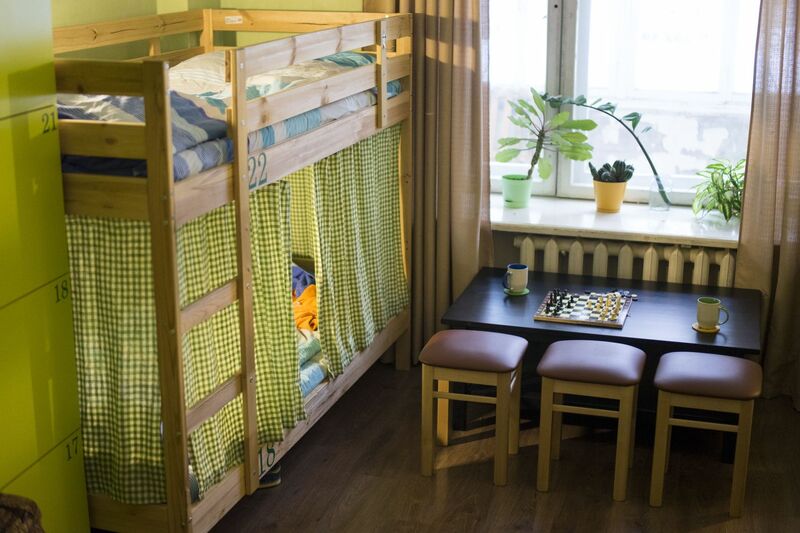 Have you checked hotels in Kirov, but you are looking for less expensive alternative? 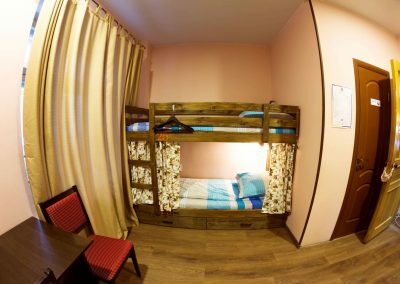 Hostel Dostoevsky Kirov created a special room designed mainly for families and ladies, which includes separated bathroom. 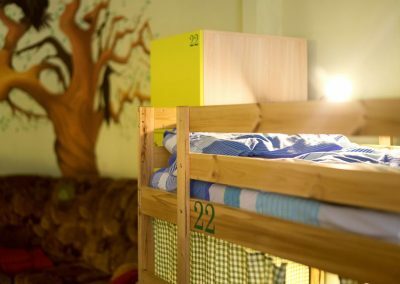 It contains 2 double tier beds, near which you will find lamps and plugs so you can charge your devices anytime not even leaving the bed! 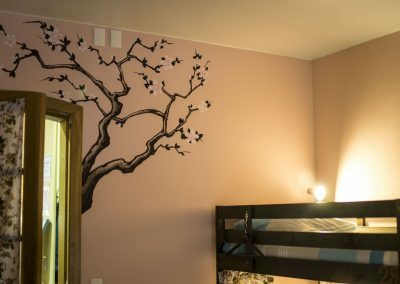 The walls are decorated with Japanese motives of the Sakura tree. 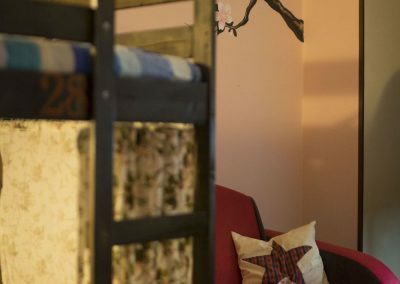 The lower beds have curtains with floral motive and practical shelves for things you wish to have close even during the night. 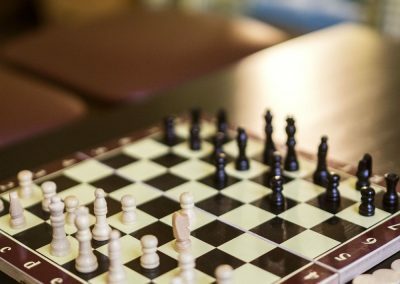 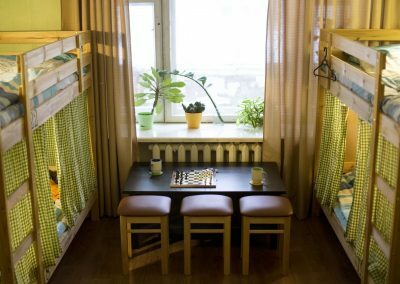 If you are travelling in a group of four, you can feel yourself not as in a hostel, but hotel in Kirov! Would you like to find out more about the hostel services? 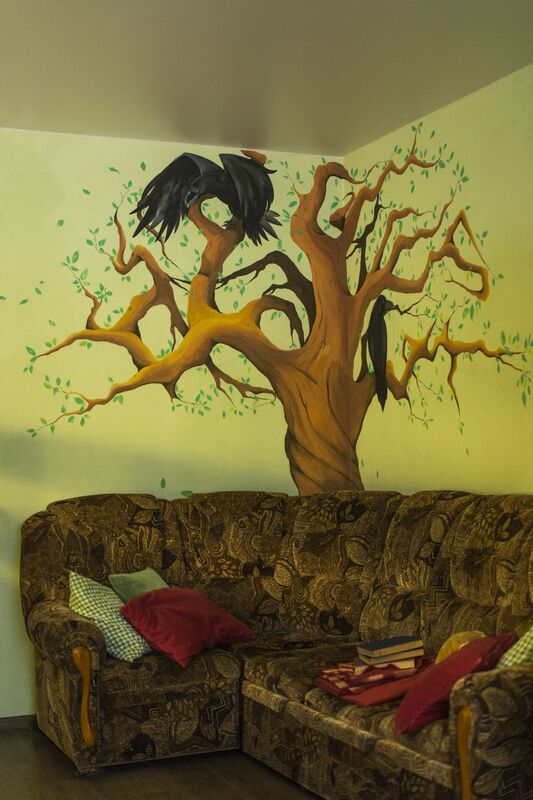 Continue reading in here! 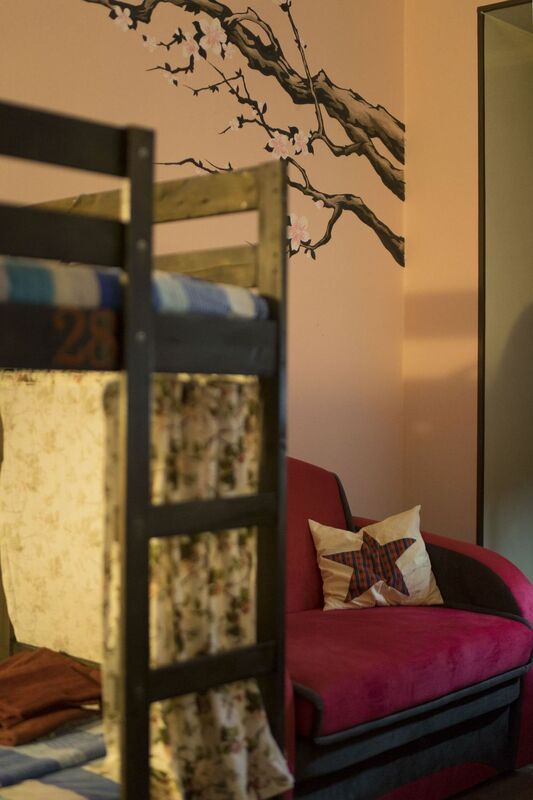 Were you thinking about staying in a hotel but found out the prices are pretty high? 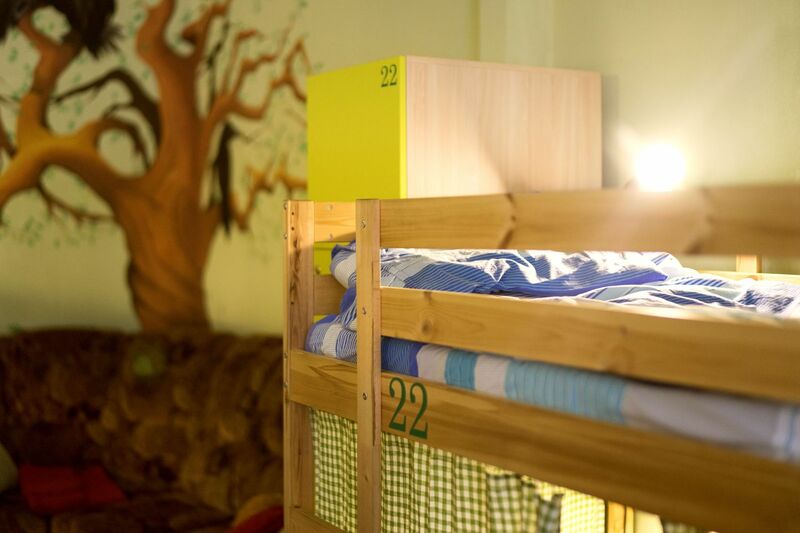 Or would you like to stay in a hostel more privately? 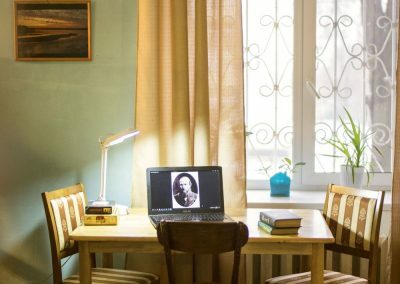 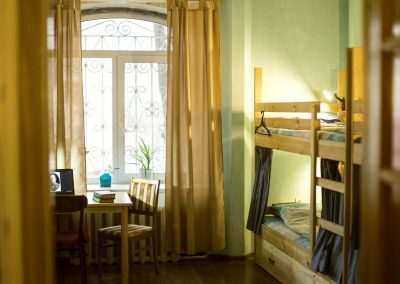 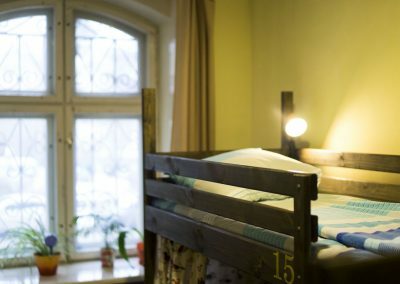 4-bed room in our Hostel Dostoevsky Kirov is what you were looking for! 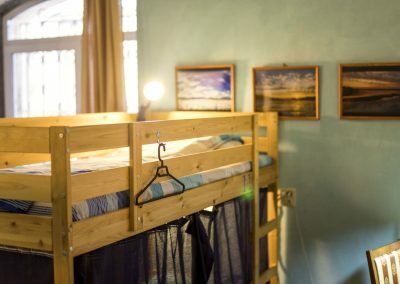 Nice and comfortable room with 2 double tier beds and wardrobes is located in the east part of the hostel. 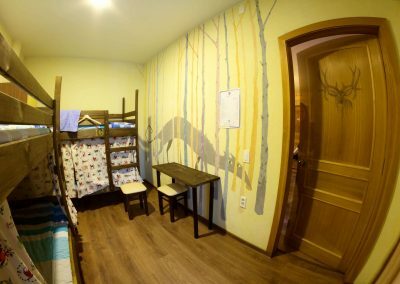 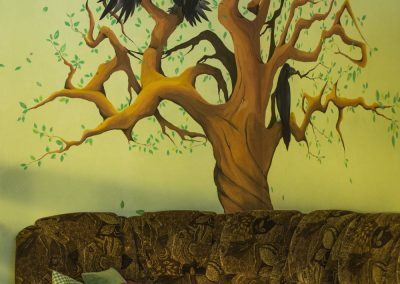 Cream walls are decorated with the picture of a forest and a fox to create a relaxing atmoshpere in this room. 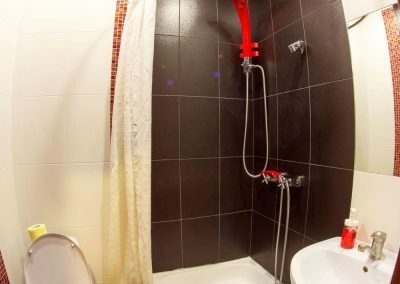 There will be clean covers wating for you and you will receive a towel from the administrator (clean towels are also placed on a washing machine, feel free to take some). 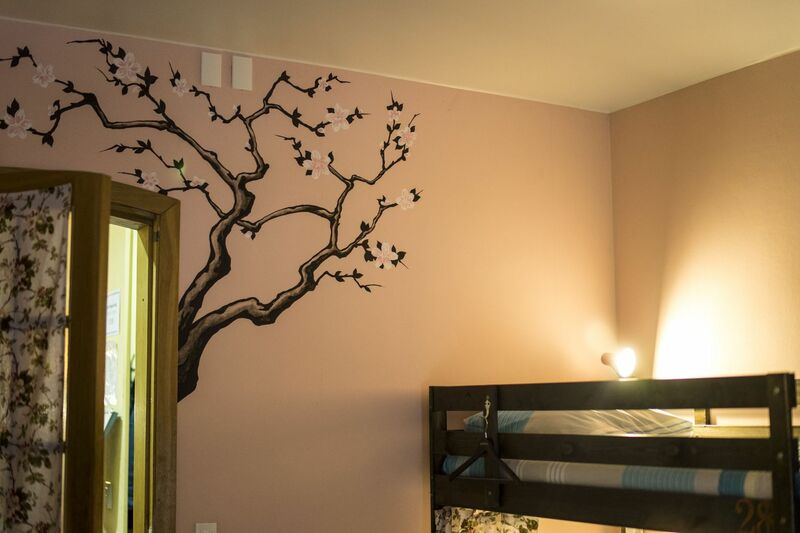 There are lamps and plugs near every bed, so you can charge your devices any time not even leaving the bed! 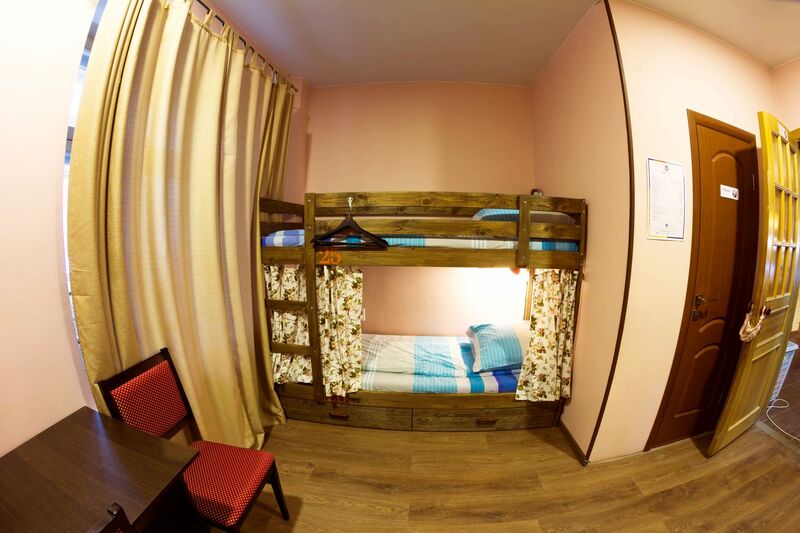 Our hostel is divided into smaller and bigger rooms. 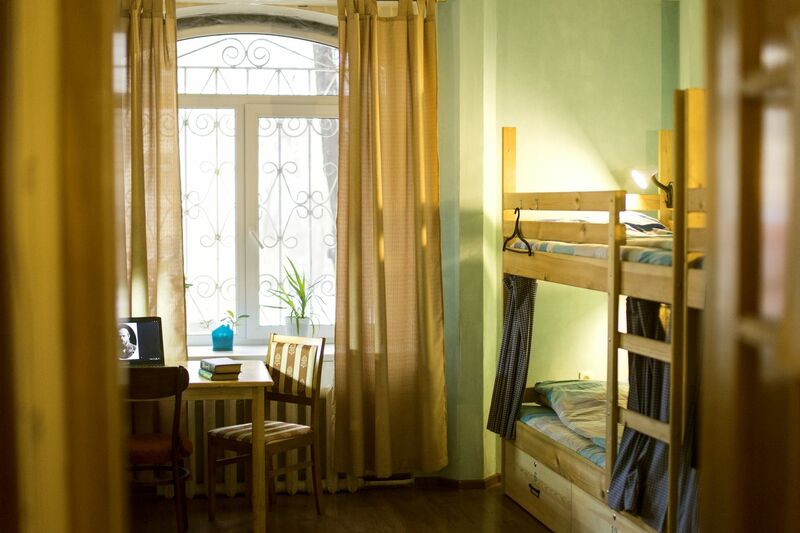 Somewhere between is a 6-bed room which is located in quieter corner of Hostel Dostoevsky Kirov. 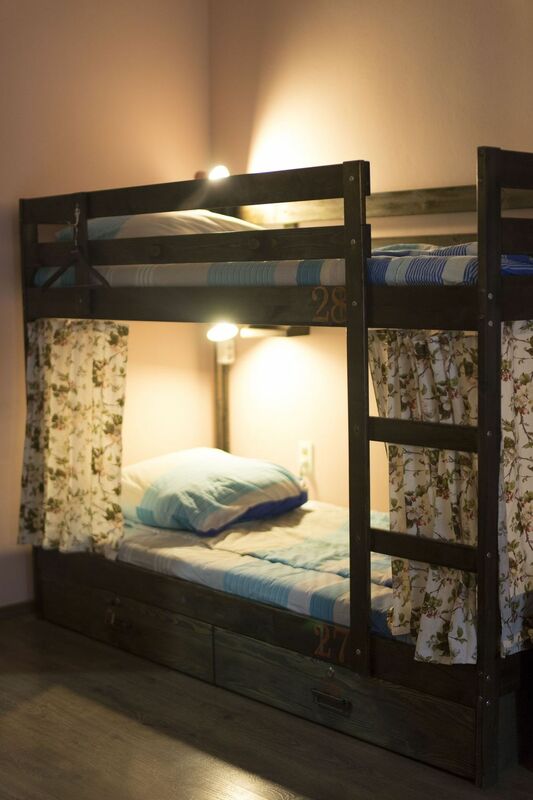 Here you can find 3 double tier beds, a big comfortable sofa, a table and also wardrobes that can be locked, therefore you can keep your personal things in there without any worries. 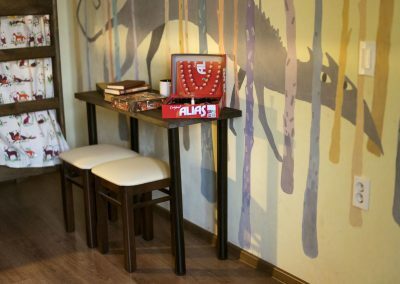 Ask our administrator for the keys! 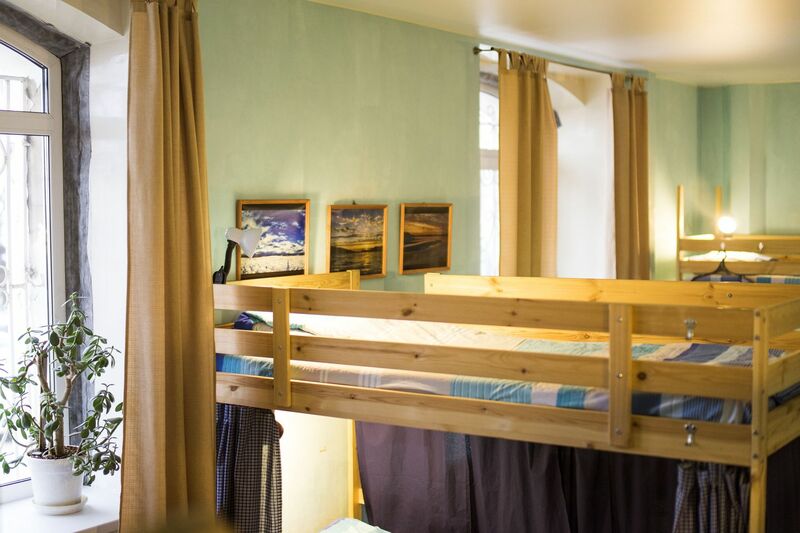 Lower beds are equipped with curtains which will protect you from the light in the room and you will have enough privacy, even if sharing the room with other visitors. 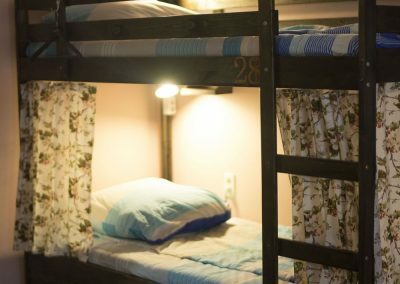 These beds have shelves for storing you small personal things which you would like to keep close to you even during the night. 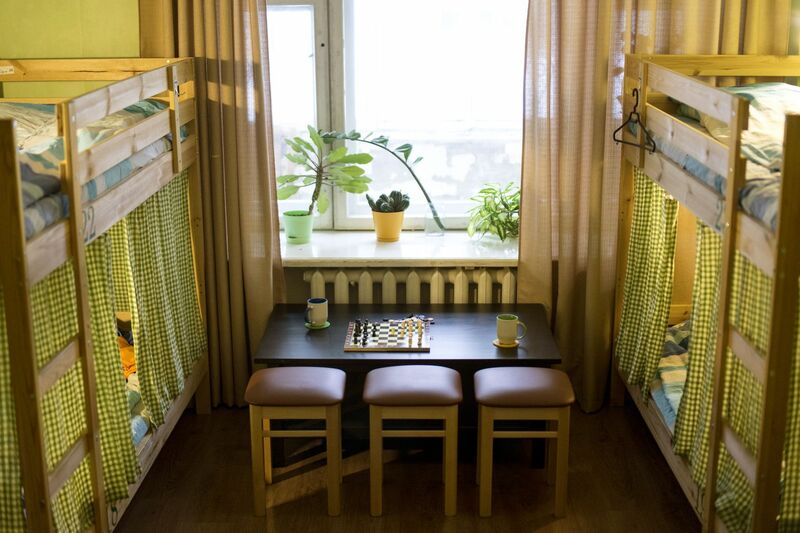 There are lamps and plugs near every bed so you can alsways charge your devices without any problems. 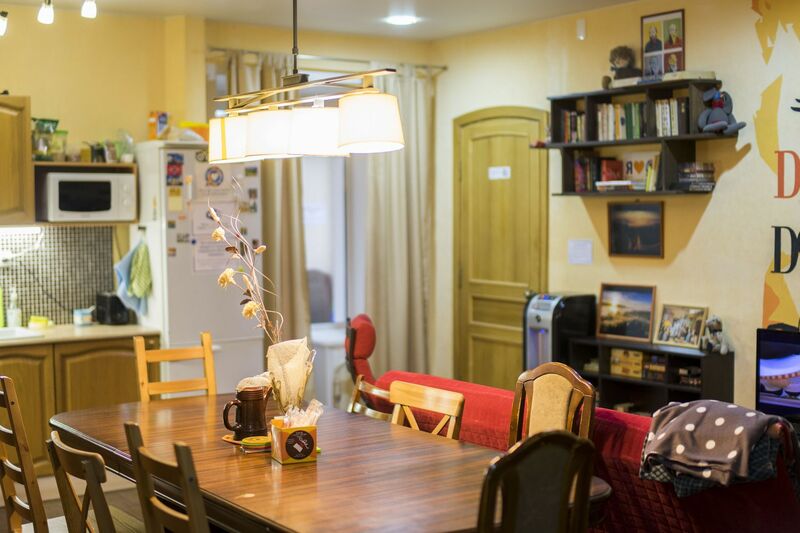 Are you a big group of friends looking for a place to stay in Kirov for a fair price and with good conditions? 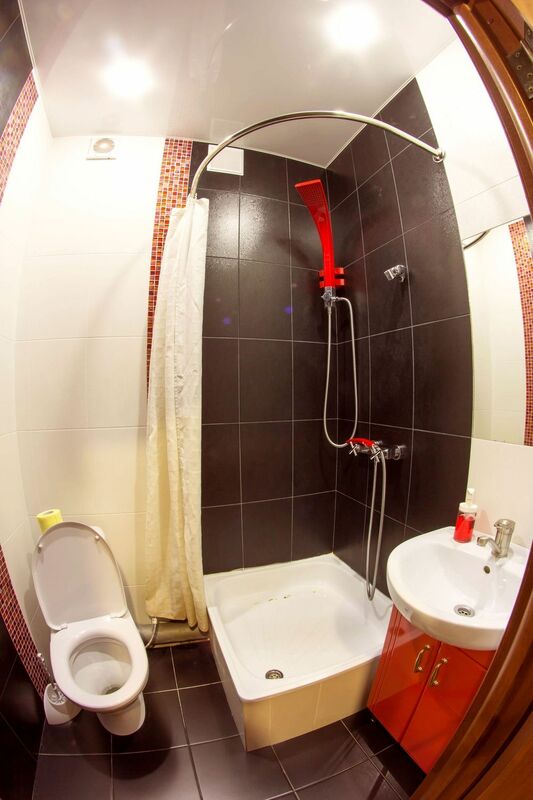 Or do you travel alone, but you prefer not to spend too much money on the accomodation? 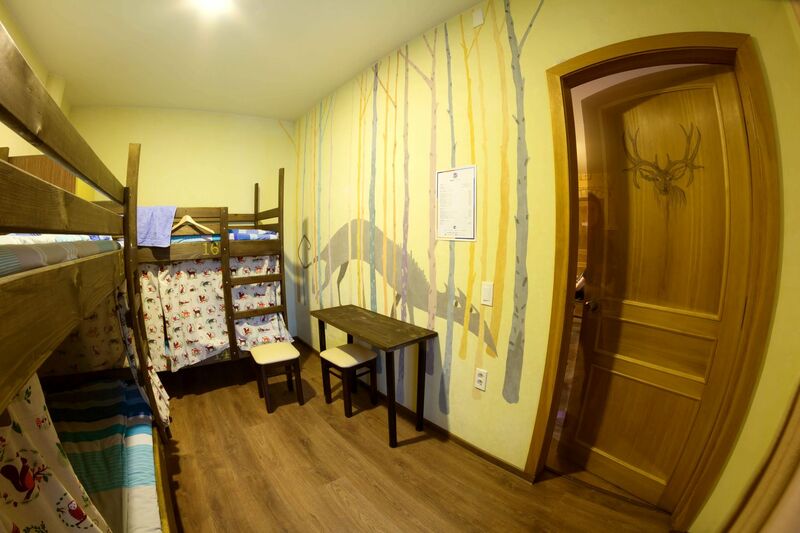 Then you will surely be interested in our 12-bed room, which is one of the biggest available rooms in Kirov! 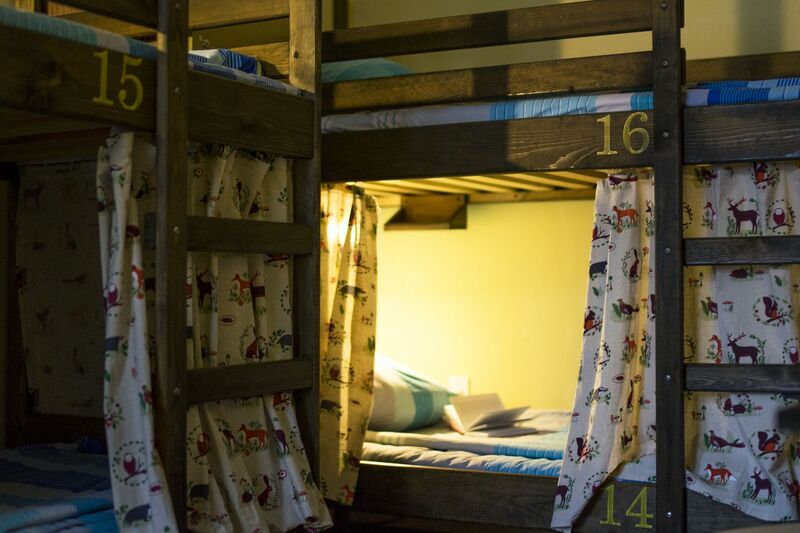 There are 6 double tier beds, couch and a table on 50 m2 and still a plenty of space left for your comfort! The lower beds are equipped with practical curtains that will ensure you privacy and protect your sleep from the light in the room. 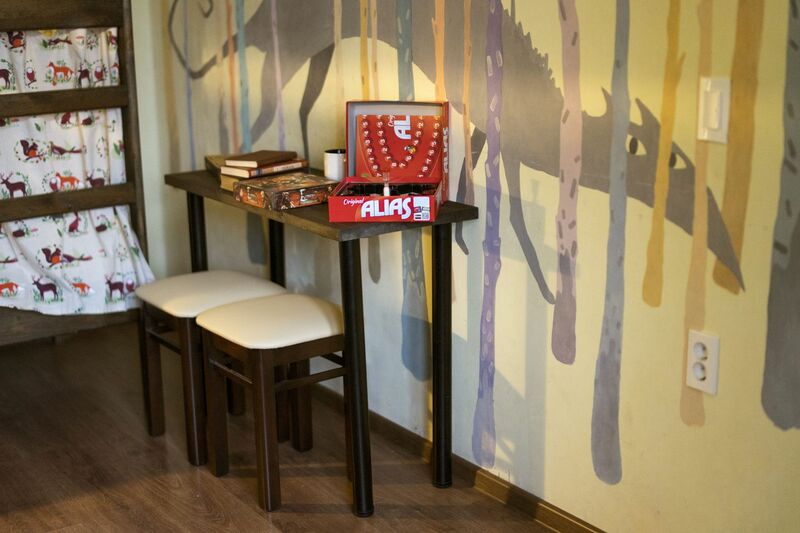 You’ll also find here small shelves for your personal items, so you can keep them close even during the night. 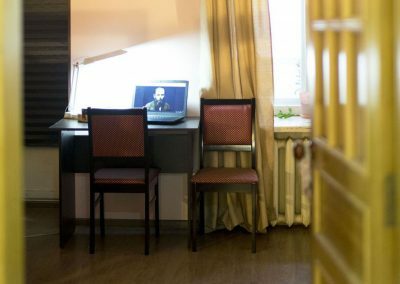 You can use the Internet in all parts of the room via free wifi. 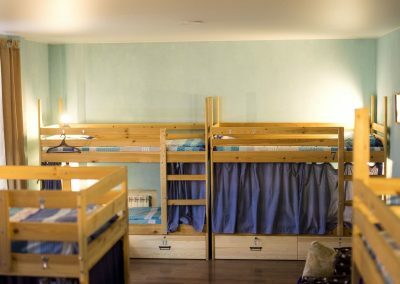 There will be clean covers waiting for you in every bed and you will receive a towel from administrator (clean towels are also available on washing machine, feel free to take some if needed). 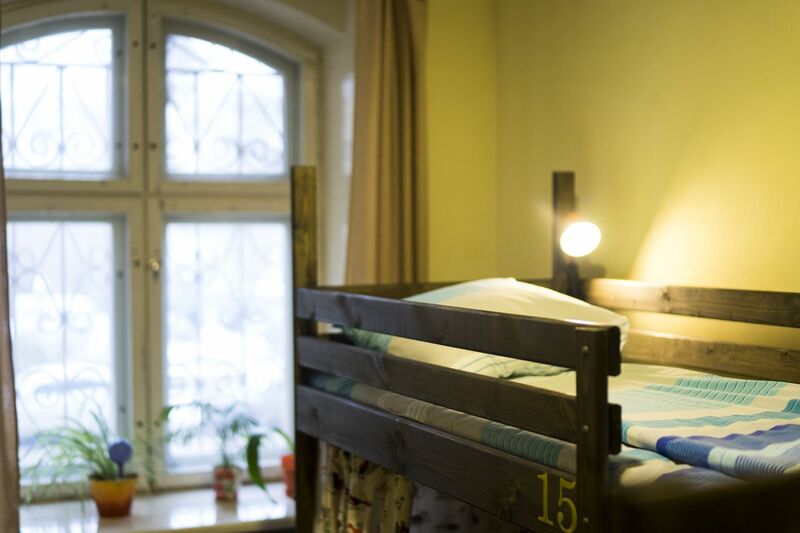 Every bed is also equipped with a lamp. 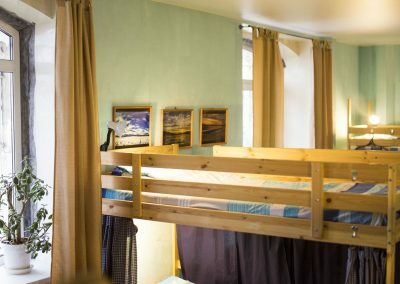 Would you like to stay for longer or are you a student? 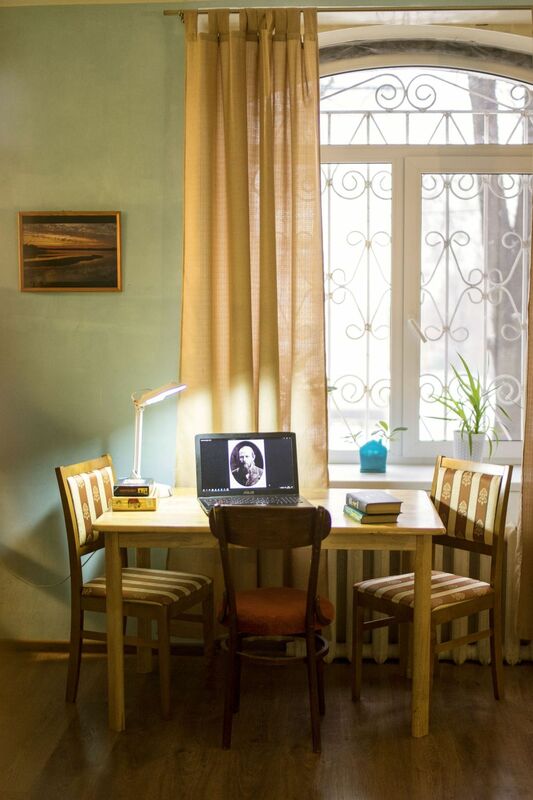 Write to us, there is a discount waiting for you!